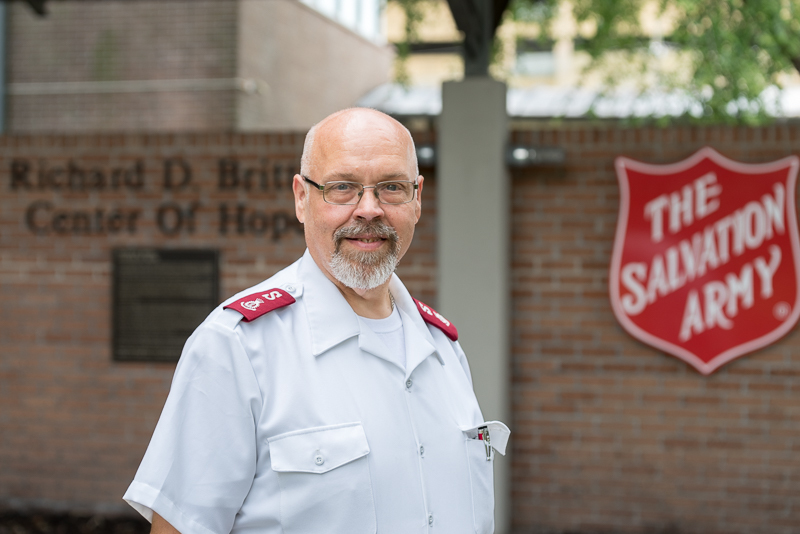 All across the country, Salvation Army officers are slowly beginning to find their footing at new appointments. Majors Ernest (Ernie) and Debra (Debbie) Hull are no different. The Hulls spent the first seventeen years of their officerships in the Arkansas-Oklahoma Division. There they became friends and served under the current ALM Divisional Commanders, Majors Steve and Wendy Morris. “We are known for getting corps out of debt, so they send us where corps are in debt,” Major Ernie Hull says with a smile. Their current challenge is bigger than any they’ve faced before in every aspect…bigger city, bigger operation, bigger bills to pay. The Hulls are now leading the New Orleans Area Command. While a bigger challenge, the approach will be the same for the Hulls. It’s definitely a team approach. Major Debbie focuses on the finances, and Major Ernie focuses on outreach. Major Ernie is also very humbled to now lead the command where his friend, Major Richard Brittle, gave his life helping survivors following Hurricane Katrina.